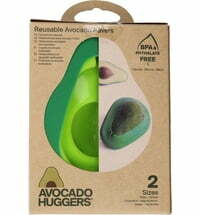 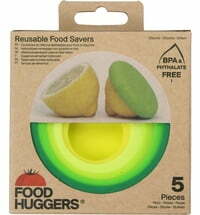 Save Food with Food Huggers! 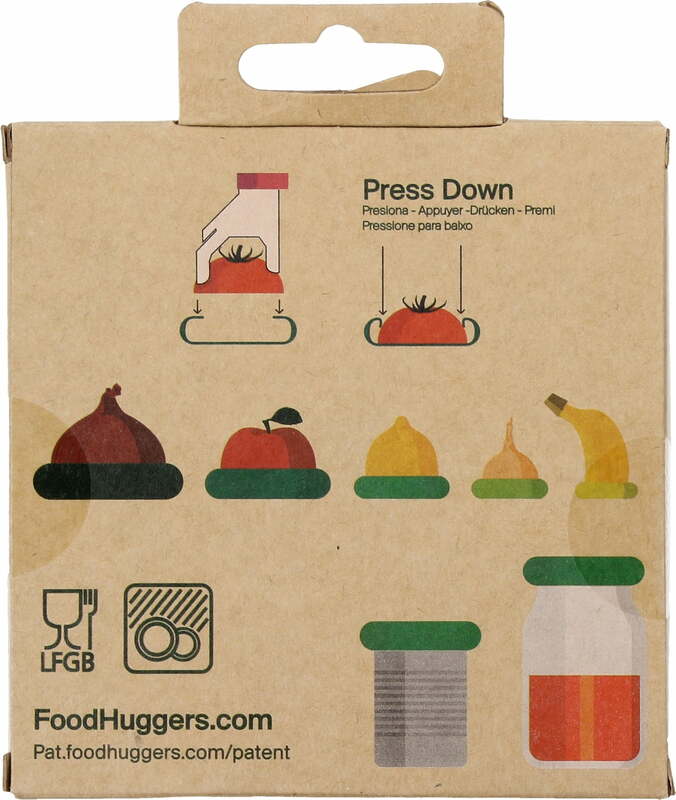 With Food Huggers, fruits and vegetables stay fresh for a long time - pleasing your palate, your wallet and the environment. 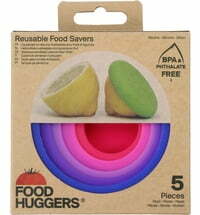 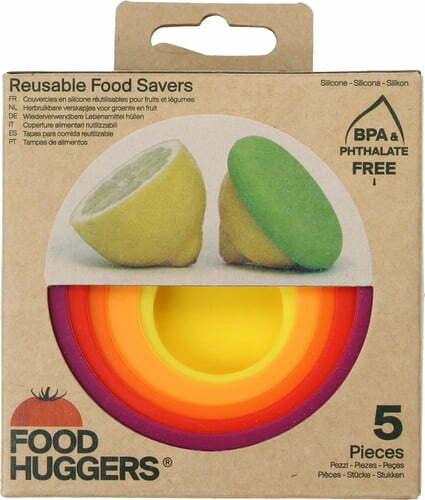 Use the Food Huggers to cover the sliced ends of fruits and vegetables and other foods. 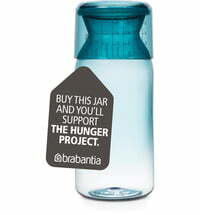 Use Food Huggers to seal open jars and cans so the content stays fresh and delicious for a long time.